FingerTec has released a brand new update for the TCMS V2 software. In this Version 2.2.022 update, over 20 new functions and bug fixes have been integrated in the software. 1. New icons and advisors Icons have been rearranged according to their importance on the task bar. Users now can easilt perform the functions in the icons from left to right during the first-time setup of the TCMS V2. The Advisor function has been updated to automatically bring you to the option immediately to ease your work flow. No idea where to start on the software? Follow the steps 1 to 7 and let the Advisor guide you through the steps. 2. Changes in English language display Changes have been made in the English language of the software, using more user-friendly and laymen terms for easy understanding. 3. New changes to Gross Wages report and Job Cost Analysis Previously the Gross Wages report could only be generated monthly. Now we have added a new gross report for weekly reports. This feature is especially useful for companies that pay employees on a weekly basis. 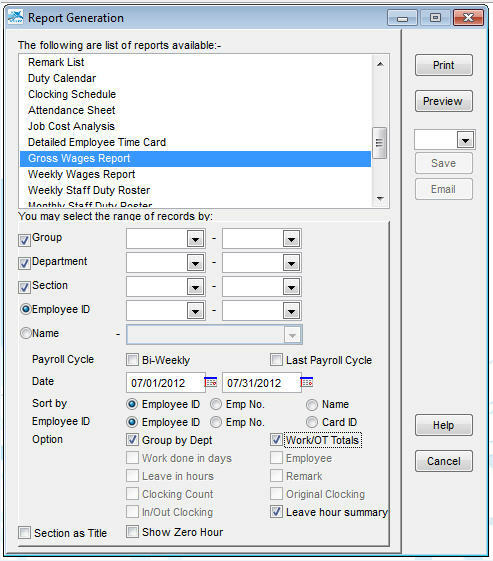 Also new in the Gross wages report, are options to allow administrator to include “Total Work time”, “Total OT” or “Total leave hours” for each employee. The Job Cost analysis report lets you show the rate per hour for every job done by employee. 4. Send reports via SMTP email. The TCMS V2 can be configured to send reports via your SMTP email after selecting the type of file. It supports SMTP email servers with an SSL connection. 5. 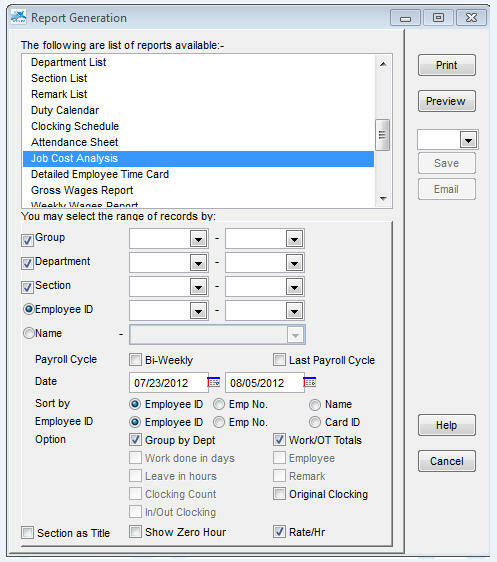 Extension of employee number We have expand the Employee ID number from 12-digits to 14-digits for display and report printing. Now you can use a longer Employee ID. 6. 24-hour time format (for users in USA) Previously unavailable for the USA region, now the 24-hour time format has been activated and made available as an option for the USA. 7. Upload user photo to Face ID 2 You can now use this new version to upload user photos to the new Face ID 2 with FEM 800 core board. 8. 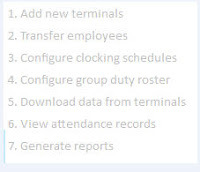 Changes to exporting attendance details For those who are using the Job Cost option, you now can export Job Cost details (name of job done by employees) when exporting attendance details. -Resolved Electronic Time card layout on 2 separate pages. -Resolved page number issue in printing of Electronic Time card. -Resolved Electronic Time Card issue with terminal ID selection. -Does not print report of employees without work hours. -Does not print “zero” for total hours in Weekly Attendance Listing. -Remembers selection “Group by Departments” under Report. 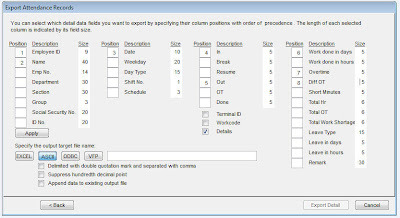 -Resolved overlapped printing at the bottom of Detail Employee Time Sheet. 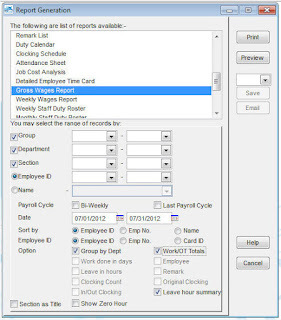 -Resolved Gross Wages Report for gross amount with hh:mm format. 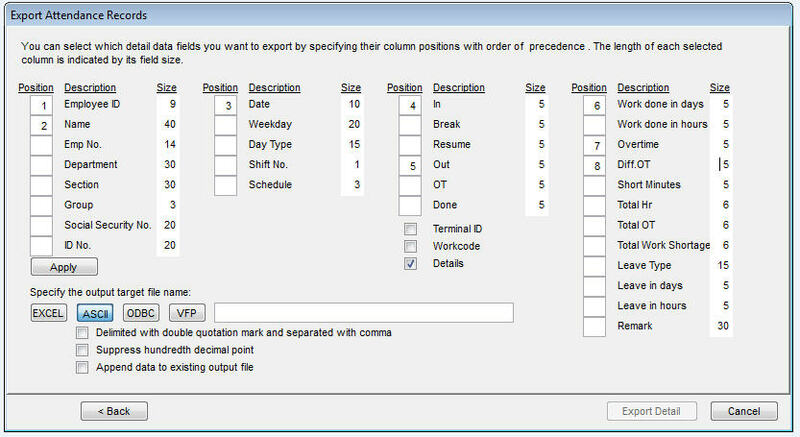 -Resolved Terminal User List when saved to XLS file. -Resolved auto-email report schedule for the 1st day of pay period. -Resolved repeated sending of SMTP email reporting. -Enhanced SMTP email error message reporting. -Resolved total short hours issue in export attendance summary. -Resolved export attendance for flexi-schedule without overtime for hours worked. -Resolved slow response issue when saving not in-use job cost code. -Resolved username display issue under User Photos in Terminal multimedia management.